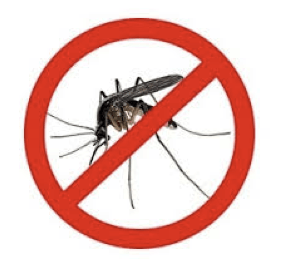 MAYVILLE, N.Y. –The Chautauqua County Department of Health & Human Services (CCDHHS) is continuing to urge residents to take precautions to avoid mosquito bites and protect themselves from potential exposure to the mosquito-borne illness Eastern Equine Encephalitis (EEE). The DHHS, Public Health Division, has received notification from the New York State Department of Health (NYSDOH) Arbovirus Laboratory of additional EEE virus positive mosquito pools in the Conewango Creek Valley in the Towns of Kiantone and Carroll. The declaration of an Imminent Public Health Threat related to mosquito-borne illness remains in effect in Chautauqua County through October 31. DHHS learned today that five more mosquito pools have been confirmed positive for the EEE virus and two of those pools contained “bridge vectors” which are mosquitoes that bite both birds and mammals, including humans. “I cannot emphasize enough how critically important it is for everyone in the County to protect themselves and their loved ones from mosquito bites,” said Christine Schuyler, Director of CCDHHS. “We’ve already lost a horse to this rare – but lethal – virus; I truly do not want to see any person contract this virus. Our county has by far the highest amount of EEE activity in New York State and has had the only equine death in the state this year; this is very serious,” added Schuyler. Use insect repellent properly. Those with DEET, picaridin or oil of lemon eucalyptus are most effective. Read the product label and use according to package instructions. Limit outdoor activities in areas where mosquitoes are most active and between dusk and dawn which is the peak mosquito biting time. If you have to be outside, wear long-sleeved shirts, long pants, shoes and socks as weather permits. Repair or replace all window and door screens to keep mosquitoes outside. Reduce or eliminate all standing water. Empty or dispose of pails, cans, flower pots, or similar water-holding containers. Clear roof gutters, remove leaf debris from yards and gardens, and clean vegetation and debris from the edge of ponds. Turn over wheelbarrows and wading pools when not in use. Clean and chlorinate swimming pools, outdoor saunas and hot tubs and drain pool covers. Dispose properly of old tires. Eastern Equine Encephalitis (EEE) is a rare illness in humans but often a deadly disease with a 33 percent death rate. It is transmitted by mosquitoes and can affect humans, birds, horses and other mammals. Most people bitten by an infected mosquito will not develop any signs; however, of those who do, symptoms usually appear four to ten days later. Signs of EEE infection begin with a sudden headache, high fever, chills and vomiting. The illness may then progress into disorientation, seizures, coma or inflammation of the brain (encephalitis). It causes death in most cases; however, some people will survive the infection and have mild to severe brain damage for life. There is no specific treatment for EEE; care is based on symptoms. While people of all ages are at risk for EEE infection, children under age 15 and adults over age 50 have the greatest risk for contracting the severe disease. There is no commercially available human vaccine for either WNV or EEE. The best way to protect yourself is to keep mosquitoes from biting you. EEE and WNV vaccines are available for horses in consultation with a veterinarian.